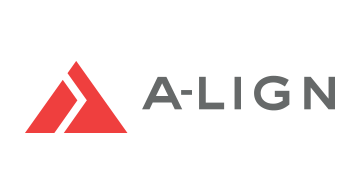 A-LIGN is a global cybersecurity and compliance solutions provider based out of Tampa, Florida that specializes in helping businesses across a variety of industries navigate the complexities of their specific audit and security assessment needs to prevent cyber threats and reduce risk, turning their security into a competitive edge. Founded by former “Big 4” executives and security specialists, A-LIGN is dedicated to making the security and compliance process as seamless and efficient by offering a one-stop-shop. Our leadership team’s experience undergoing audits in industry provides us with our clients’ perspective of the audit and drives us to deliver a high degree of communication and responsiveness to them before, during and after the audit. The services we offer include the following: SOC 1, SOC 2, Penetration Testing, PCI DSS, HITRUST, ISO 27001, FedRAMP, FISMA and HIPAA/HITECH.